Dolores Ashcroft-Nowicki has been a light and an inspiration to thousands of students of the Western Mysteries, Qabala, and the Craft. She served as the Director of Studies of the Servants of the Light from 1976 to 2018 . She has given her life to the work, and had thought that her life was in order for retirement. She is 90 now and is in the middle of a painful divorce. She needs her freedom from her hopefully soon to be ex-husband, but every visit to the lawyer costs her as much as a month’s pension. He is trying to leave her without anything. She is on the Channel Island of Jersey where everything is expensive, especially the lawyers. Please help us raise money to cover her legal fees. The quality of her life and her years ahead are at risk. BATTLE HYMN OF THE RESISTANCE – A song for our times by Gwendolyn Reece. This entry was posted on July 4, 2018, in Our Friends, Sacred Wheel Leaders. As many tarot lovers have come to realize (or ignore, as the case may be), the notion that there is no perfect tarot deck is a tough reality to accept. It’s true and if you haven’t realized that yet, then I am truly sorry to be the bearer of bad news. 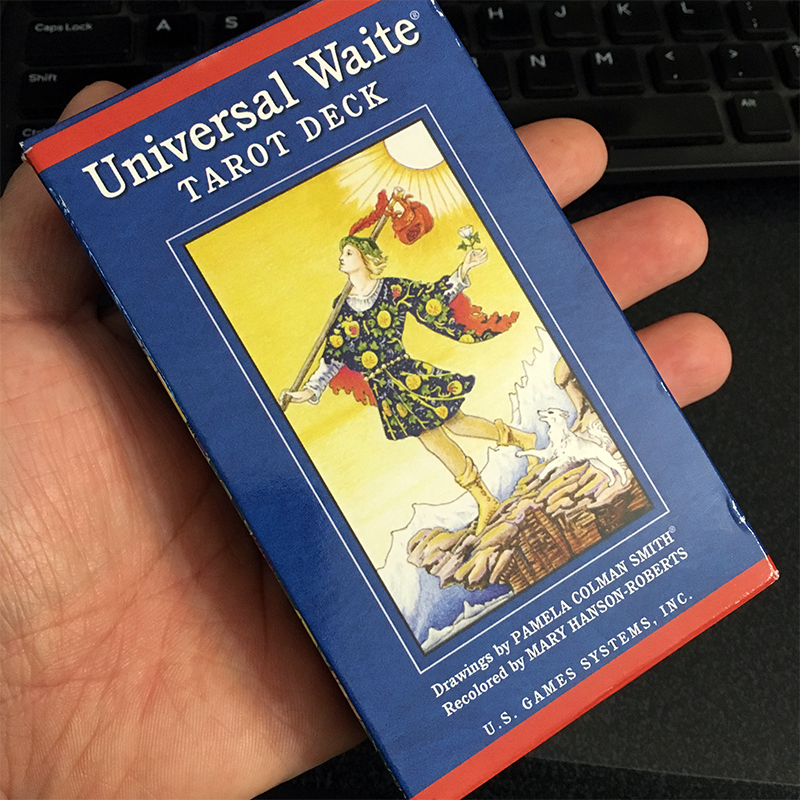 The more time one spends working with the tarot, the more decks one acquires, collects, and lusts after. One’s individual taste for what they enjoy and what they don’t enjoy in a deck also has a hand in building the hoard, particularly as your style develops and evolves. Like any fascination or life-embedded hobby, the collecting of decks and the desire for perfection knows no bounds. It’s a vicious cycle and admittedly, I am a living victim of its madness. Vickie was one of a kind and the best kind too. In her life she touched so many people in such positive ways. She would see something that needed to be done and quietly do it, no fanfare, no look at what I did, she just found joy in helping. She was inquisitive, loved books and learning, life was a great adventure for her and she embraced it all. Her life was a gift and blessing to all who knew her. Her death will be keenly felt by all those she touched. She is now a bright star in the heavens. In lieu of flowers her family asks that donations be made to the New Alexandrian Library in Vickie’s name. Like most of you, I’ve been curious about where we are headed in 2018, so I’ve been poring over my ephemeris, calculating transits, and casting cardinal ingress and eclipse charts — three astrological methods of gaining insight into future events. This post will be long, but I’ll break out the more technical astrological details into separate paragraphs for the astrologers, so those of you who just want the conclusions can skip through. The theme for this year is grounding and reality checks, with Earth and Water signs emphasized. A big part of the reality check will be much of humanity coming to an inescapable understanding and visceral awareness of how all life on Earth is intertwined and interdependent. Some will continue their efforts to deny that fact, even in the face of incontrovertible evidence, but eventually, the dams that hold back the onslaught of reality break. Samhain seems to have started early this year. The veil between the living and the dead has worn thin. It looks frayed around the edges, with maybe even a narrow hole here and there, close to the middle of everything. I spent last weekend with Psyche and Eros: hearing their story from Greek mythology; exploring the challenges, promises, jealousies and angers among the characters; ritually re-enacting the story before choruses of men and women, all under the guidance of Dolores Ashcroft-Nowicki (pronounced ‘no-VEE-ski’), head of the Servants of the Light, an international non-denominational mystery school.